Ryan is a Class-A PGA Professional from Rochester, New York. After graduating from Penn State University, Ryan was Jim McLean's personal teaching assistant doing every lesson with Jim for 2016-2017 season. 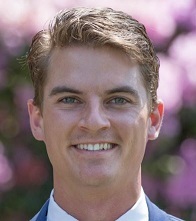 Ryan is now full time teaching as a Certified Instructor at the Jim McLean Golf School in the winter months, and at Plainfield Country Club in the summer. Ryan believes in a simplistic style of teaching, focused on building a strong foundation of fundamentals.